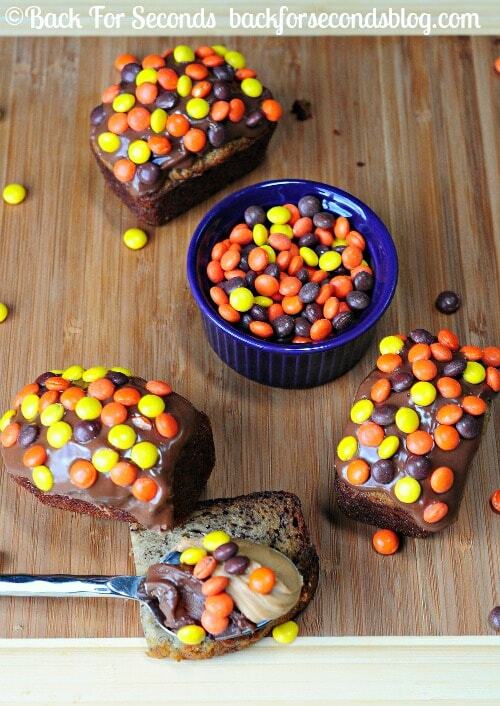 This Reese’s Nutella Banana Bread is an easy recipe that will knock your socks off! Use very ripe, very spotty bananas – they give the best banana flavor. Mix in some Nutella to keep things exciting. Add peanut butter – Elvis was onto something. Peanut butter and banana is awesome together. 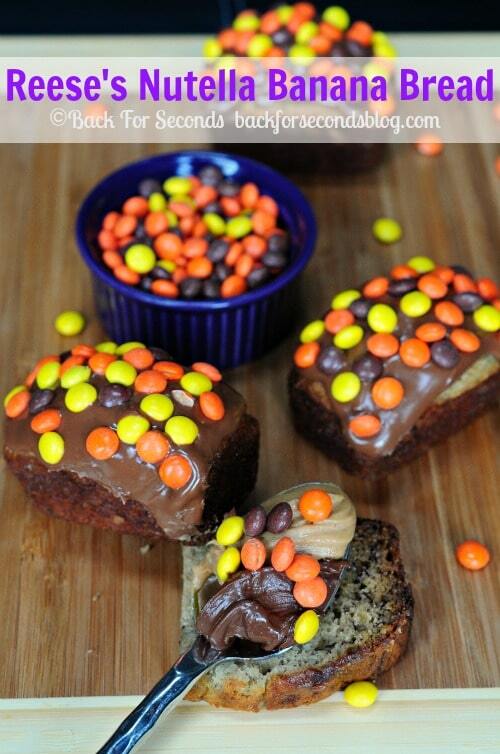 Pour on lots and LOTS of Reese’s Pieces! Are you all still with me? Do you have drool running down your chin? 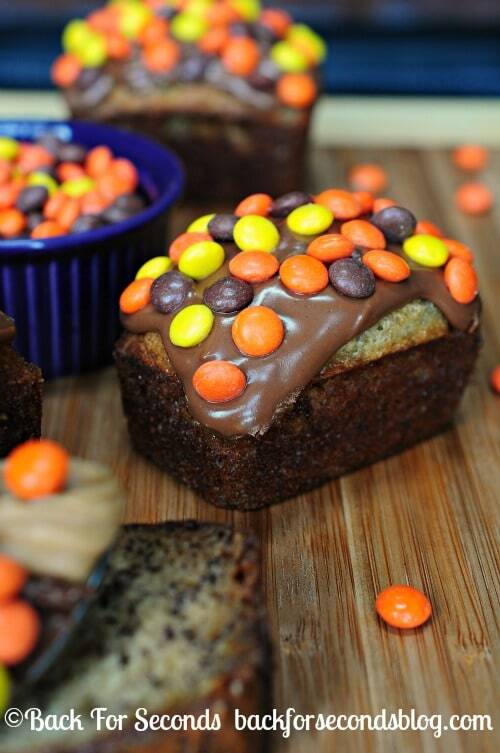 This Reese’s Nutella Banana Bread is insane, guys! I made it yesterday and just had to share it with you right away even though I just posted my Reese’s laden chesecake… I hope you don’t mind. The banana bread itself is the same base recipe I always use – it’s perfect. 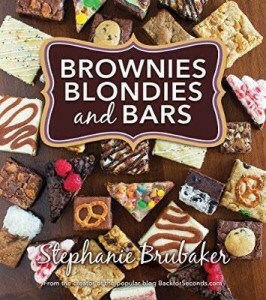 Full of banana flavor and unbelievably moist. My family goes nuts over a loaf of plain banana bread. It’s that good! The topping is what makes these little loaves so irresistible! 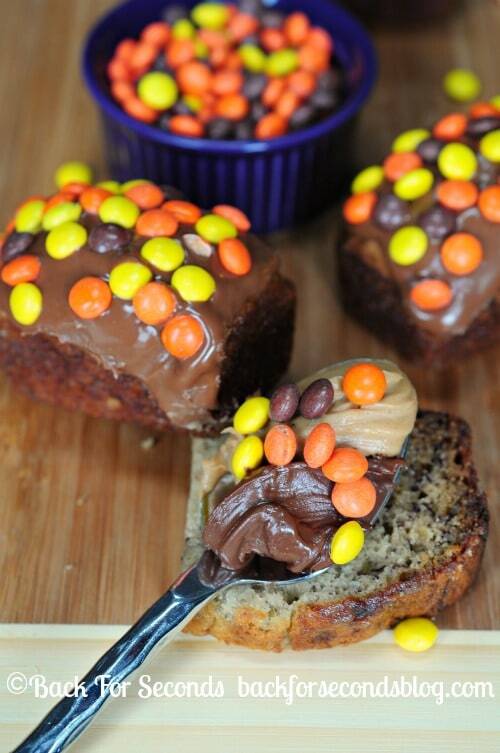 A mixture of peanut butter and nutella is generously spread over each loaf before being doused with handfuls of mini Reese’s Pieces. What could be better?